aaronwilson.org: Born With A Yellow Stripe? 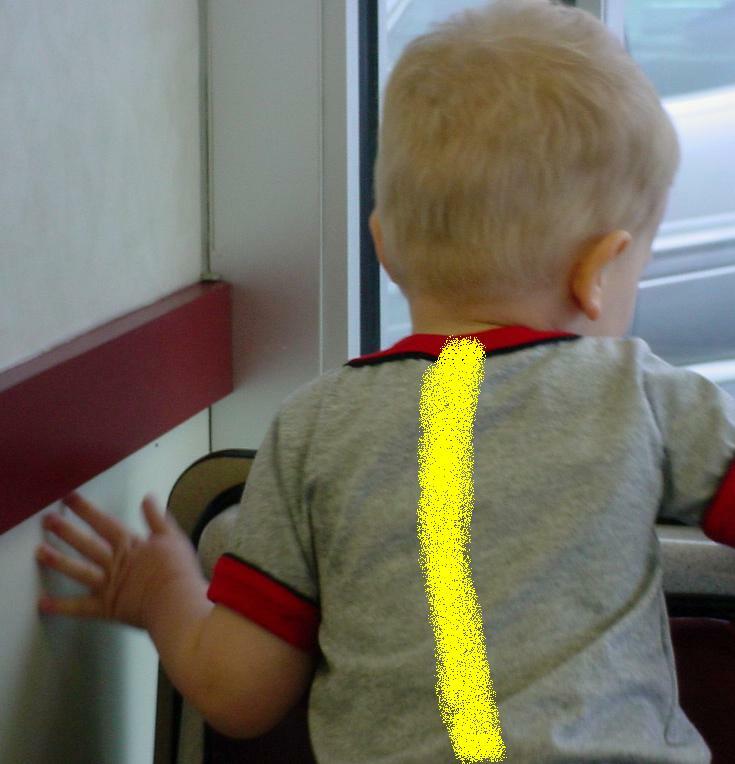 Born With A Yellow Stripe? Not everyone that I know holds to the precious doctrines of grace. 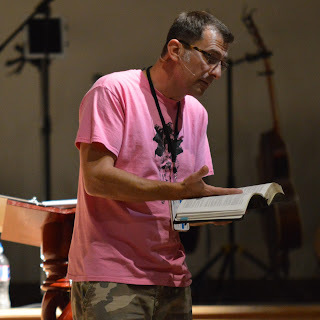 The word "calvinism" is repulsive to many, and regrettably so, for those to whom it is repulsive rarely understand just what the Bible teaches about God's sovereign grace in our salvation. I think it boils down to an issue of pride, to be honest, and it has nothing to do with it being a "difficult" doctrine. Think about it, how many people do you know who reject the doctrine of the Trinity because it's difficult? Or what about the virgin birth...or the incarnation? No, the doctrines of grace (also known as Calvinism), offends not because of it's difficulty, but because it strikes at the very pride of our sinful hearts. We want to have some claim...some participation...some CHOICE in our salvation - even though we wear proudly the Ephesians 2:8-9 banner of a no-works salvation. It would only be fair to say - and confess - that pride also becomes an issue often for any new "convert" to the doctrines of grace - in that he tends to be puffed up with knowledge when he has "arrived" at this "deeper" level of Truth. We would all do well to remember that any knowledge and insight into the things of God is only by the grace of God opening our eyes to such things. John was talking to Jacob and said to him (with some excitement), "Hey, did you know that Aaron & Anita had their baby?" (this was five years ago, referring to our first child - aka "Haircut Boy"). Expecting a mutual response of joy, John was caught off guard by his response. Jacob said with dripping sarcasm, "Does he know if he's one of the elect?" I happen to know that his sarcasm was an outward manifestation of a demon - uh, I mean a strong disagreement with me and my views concerning Calvinism. Jacob is one of those guys...one of those who do not hold to the biblical doctrines of grace...one of those whose salvation ultimately rests in his own choice. Sad. But that's another blog. Now, I mention this cute story to introduce the subject Jacob brings up. Sarcasm withstanding, it's still a great question. How do I know if my son is one of the elect. For that matter, how do I know if I'm one of the elect? Here's a related blog from musician/theologian Steve Camp where he quotes from A.W. Pink, where he "gives seven points of reflection that I would urge you to use as a thermometer to take the temperature of your spiritual health." Sixth, by avoiding everything which is condemned by God's Word and by sincerely repenting of and humbly confessing every transgression. Failure at this point will surely bring a dark cloud over our assurance causing the Spirit to withhold His witness. Seventh, by giving all diligence to cultivate the Christian graces, and using all diligence to this end. Scripture encourages healthy self-scrutiny. Hopefully these thoughts will better help you to be obedient to 2 Corinthians 13:5 , "examine yourselves, to see whether you are in the faith. Test yourselves. Or do you not realize this about yourselves, that Jesus Christ is in you? --unless indeed you fail to meet the test!" Or, you could hopelessly look for that "yellow stripe" painted on the back of all God's elect, to which Charles Spurgeon sarcastically referred. **BTW, I've found several references to Spurgeon's quote about the yellow stripe, but I have been unable to find the original source/sermon from which it came. I've even googled Phil Johnson's Spurgeon Archive, but to no avail. Can anyone tell me where this yellow stripe reference is found? Thanks! after reading this page it looks like Spurgeon was commenting on Acts 13:48--the sermon entitled Further Afield (#2045) was the text of that particular sermon, whether or not that was where he made that comment, i don't know?? you had any luck thus far? I think you've narrowed it down to the right sermon. However, according to Phil Johnson's sermon index, that one hasn't been put online yet. I've got Spurgeon's 5 volume set...I'll have to look to see if it's in there. Oh yeah...what's this "luck" stuff you speak of? God's sovereignty---luck---?? can't hardly reconcile those... i remember a quote from an old puritan, went something like this, "It's difficult to be a high pressure salesman and believe in the sovereignty of God too."